Once your athlete is a diagnosed with a concussion, what are the next steps? Hopefully, your physician is experienced with sports-related concussions and will give you guidelines as to what you can do and what you cannot do. Physical and cognitive rest (yes, may mean missing school) is prescribed with no computers, TV, cell phones, texting, music or reading during this time. When the athlete is symptom-free at rest and with cognitive activity, it may be time to return to physical activity, but must be cleared by a physician. “All signs and symptoms should be evaluated using a graded symptom scale or checklist when performing follow-up assessments and should be evaluated both at rest and after exertional maneuvers,” as stated in the National Athletic Trainers’ Association Position Statement: Management of Sport-Related Concussion. As the athlete is able to handle a light workload without symptoms, the time duration and intensity can increase. A next step may include agility drills and balance exercises with a progression to more intense jumping and sprinting. As the rehab process moves on, the athlete may get involved with sport-specific exercises, such as light skating and stickhandling. If there are no symptoms during or following activity, many physicians will allow the athlete to return to non-contact practice and progress to a contact practice. Once the athlete has handled all of the progressions without issues, the physician will decide whether the athlete is ready to fully return. This process may seem longer than it really is, but is imperative for a safe return. Everyone needs to be more educated in the signs, symptoms and management of concussions to secure a safe and positive outcome. 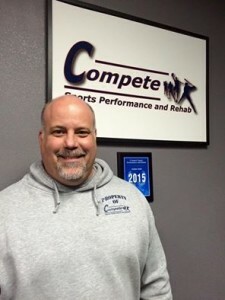 Chris Phillips is a certified athletic trainer and strength and conditioning specialist and former NHL athletic trainer.